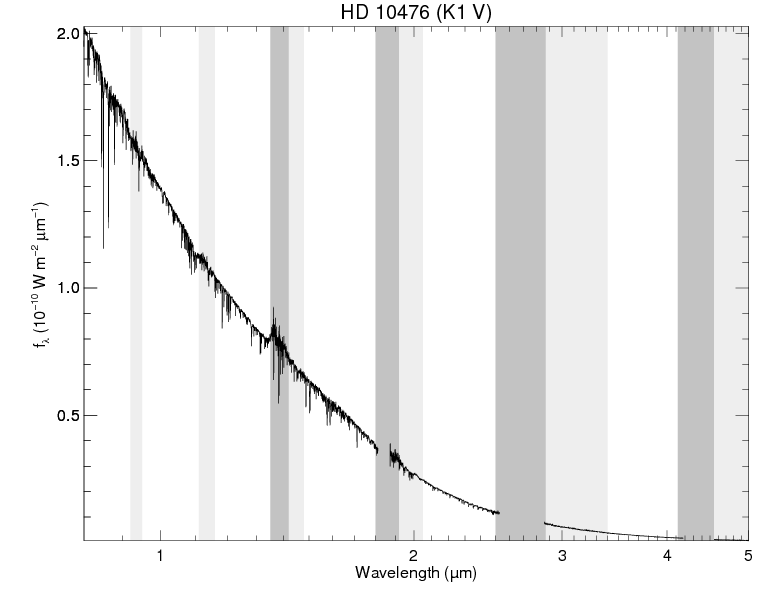 HD 124897 (Arcturus) is too bright to observe without reducing the throughput of SpeX by a factor of ten using an internal moveable cold stop. 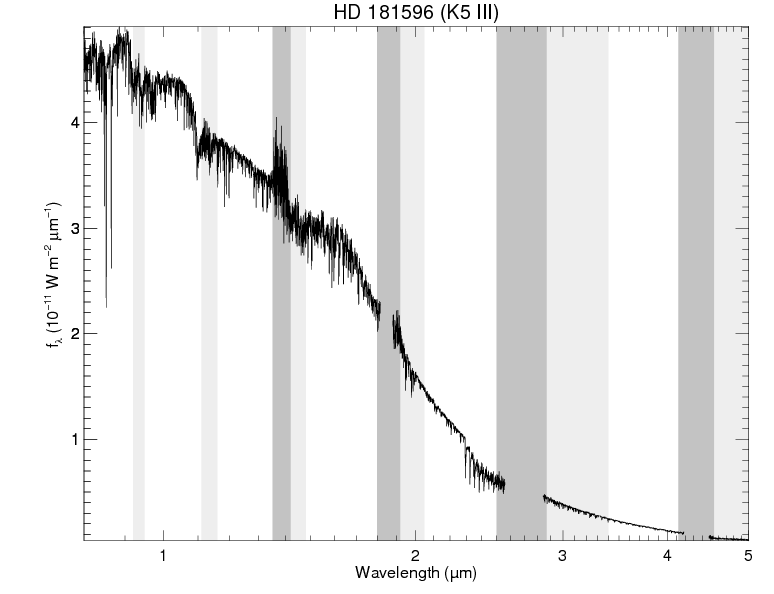 To achieve very good S/N this stop had to removed when the standard star was observed. 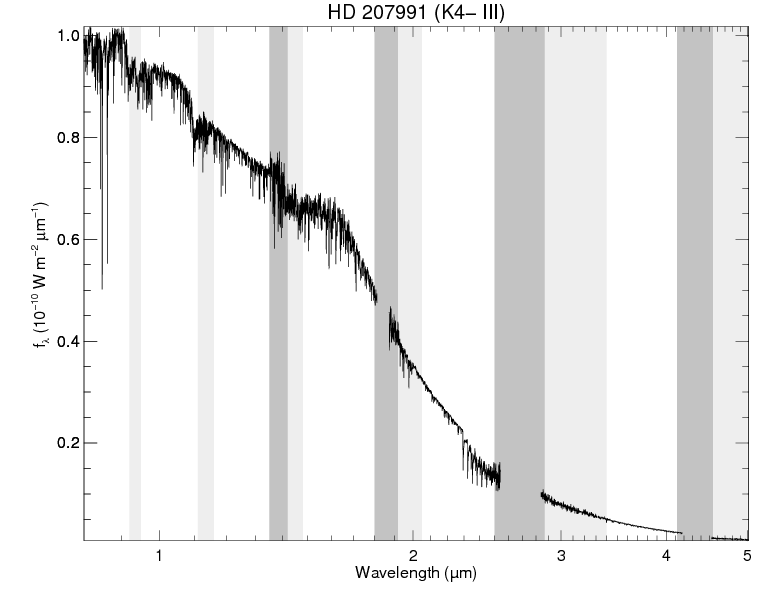 This meant that the overall spectral continuum shape was not accurate (since the light path was slightly different for Arcturus and the standard star). 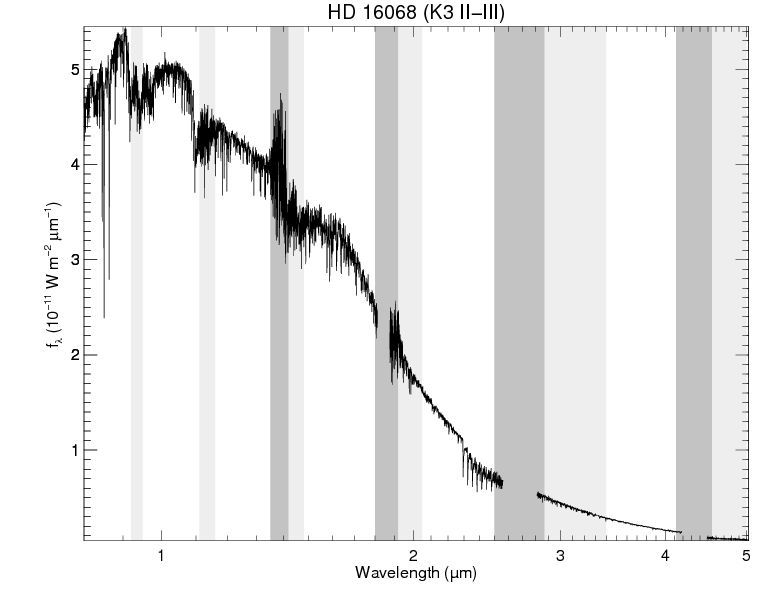 Therefore a second set of observations of the standard star was taken with the stop in position to the accurately measure the continuum but with lower overall S/N. 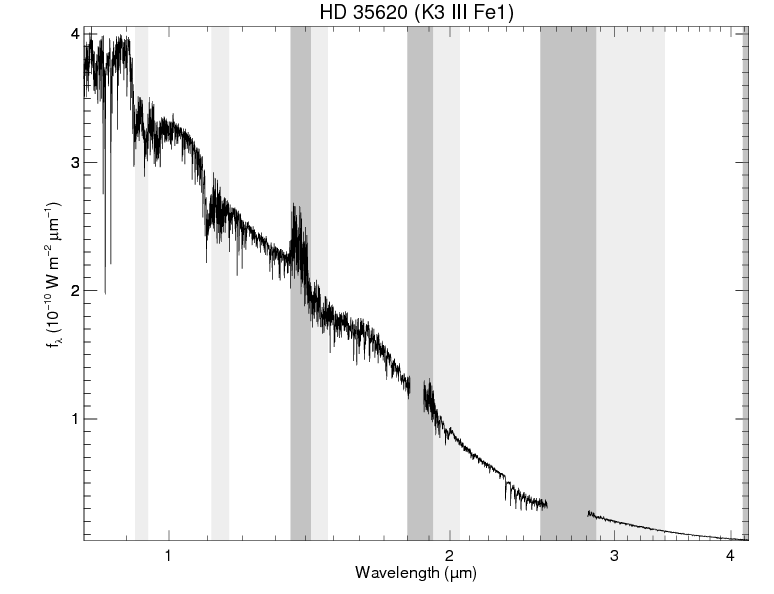 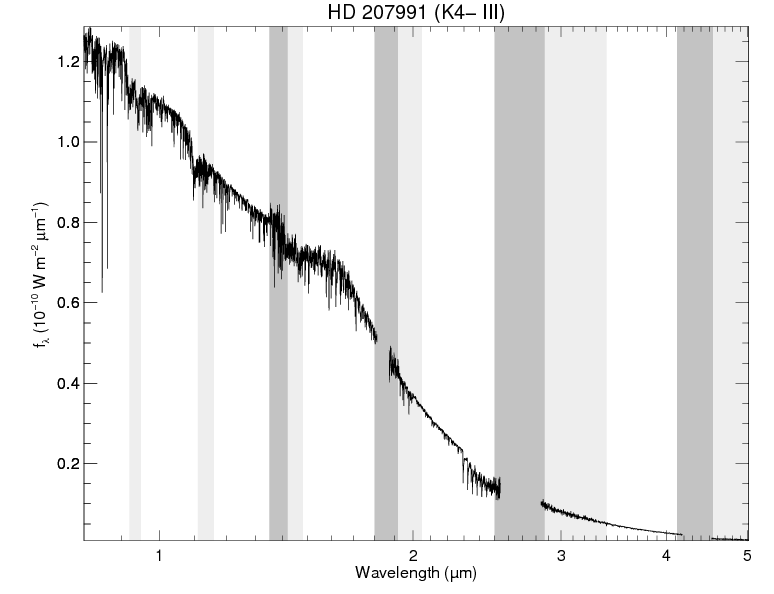 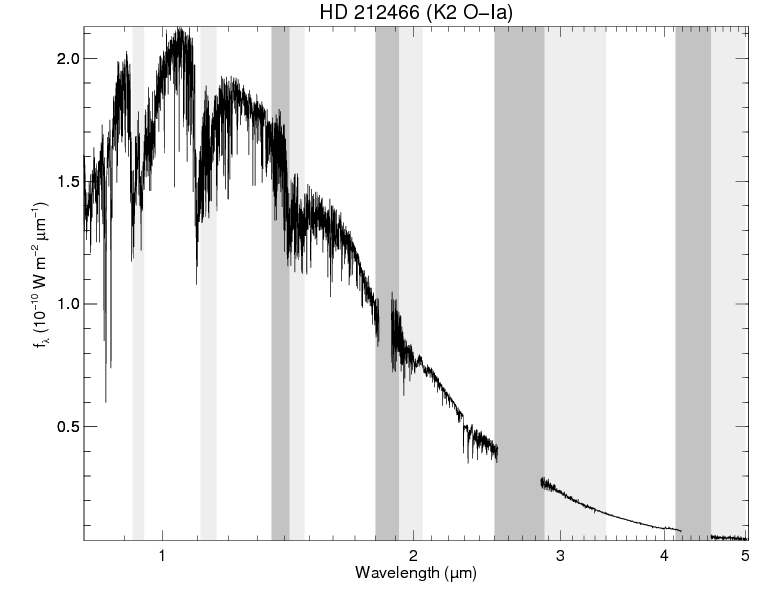 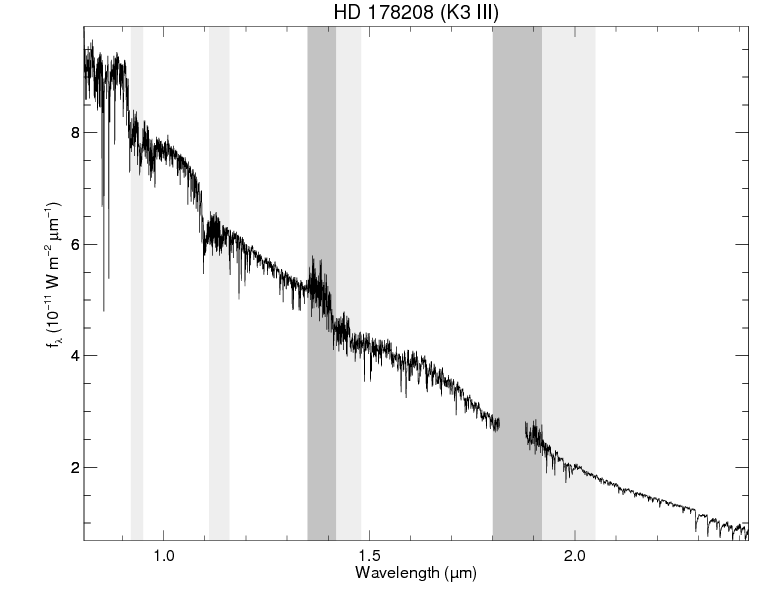 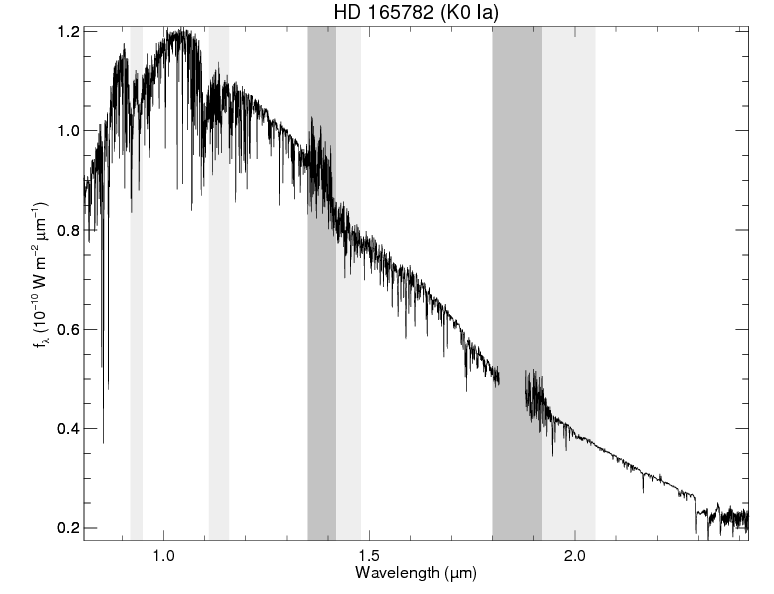 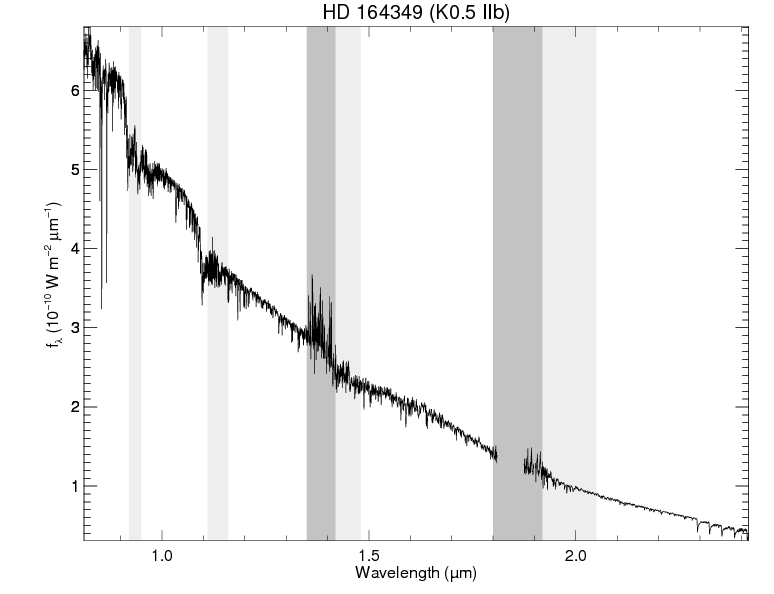 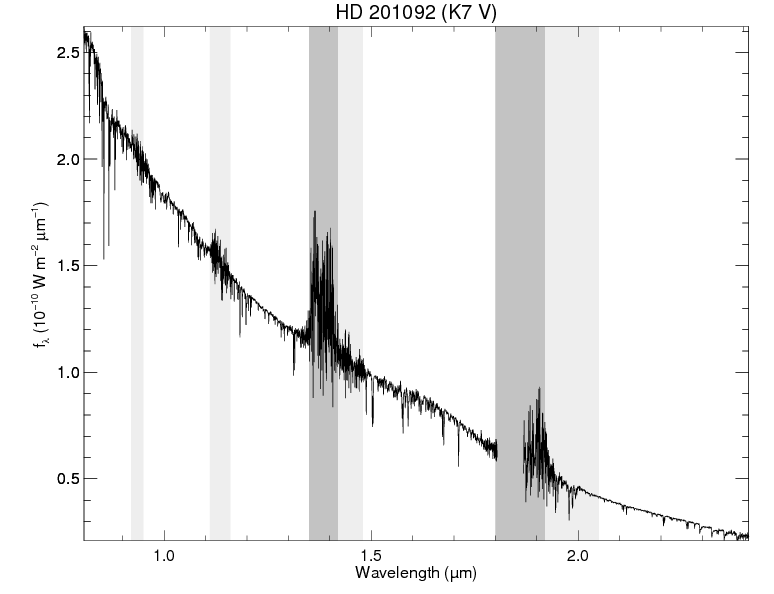 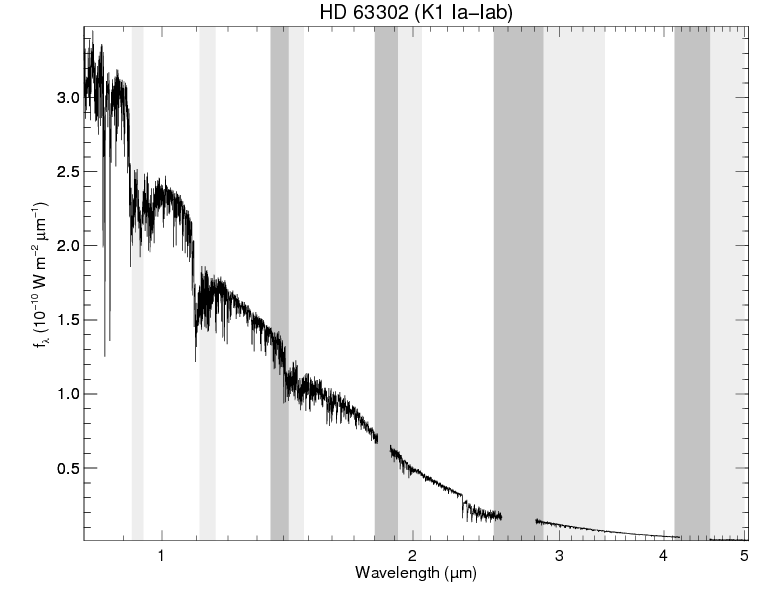 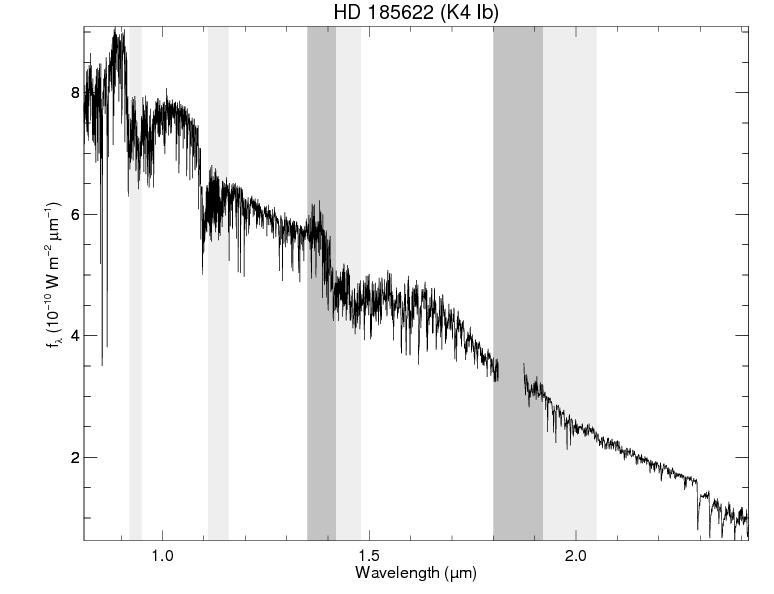 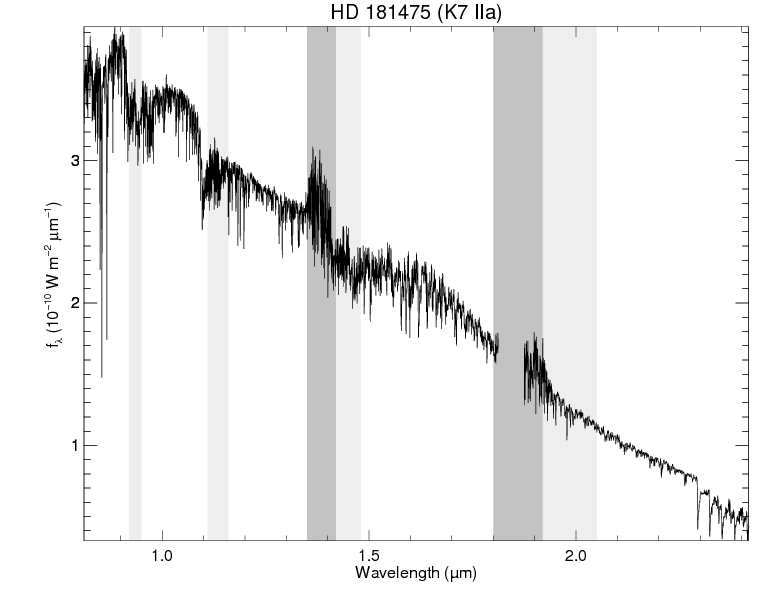 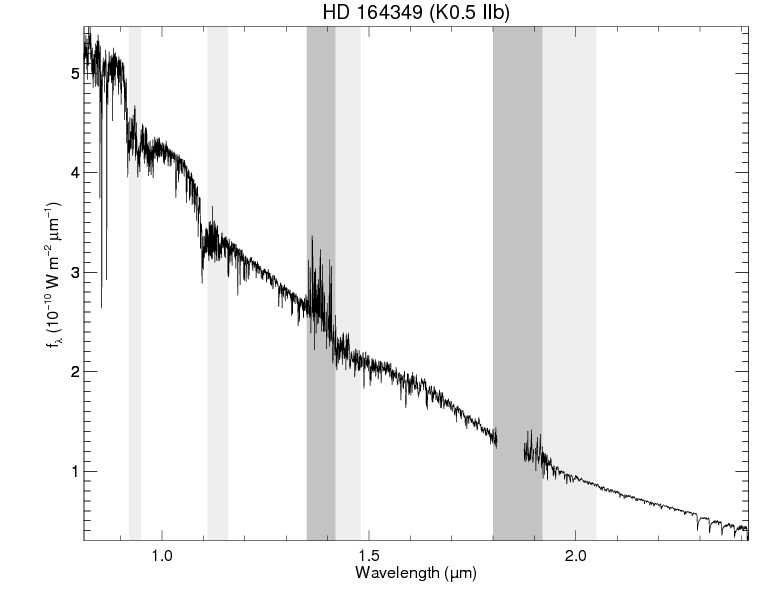 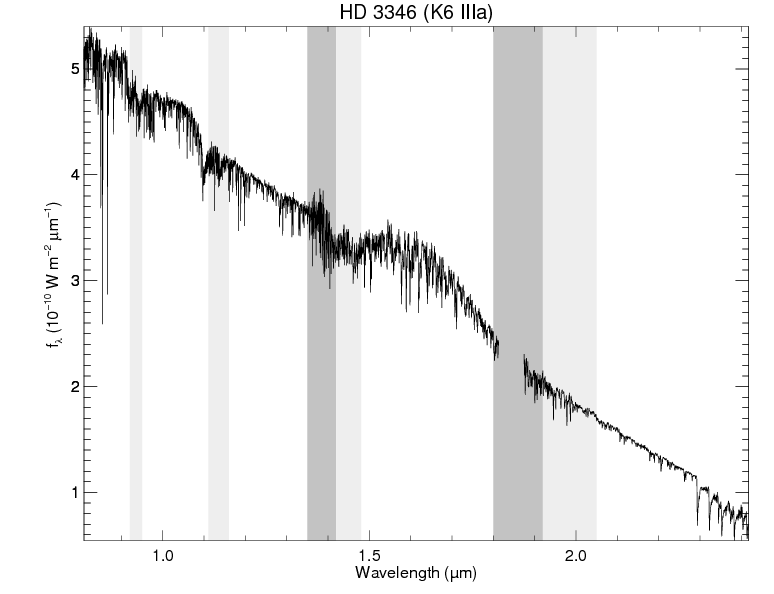 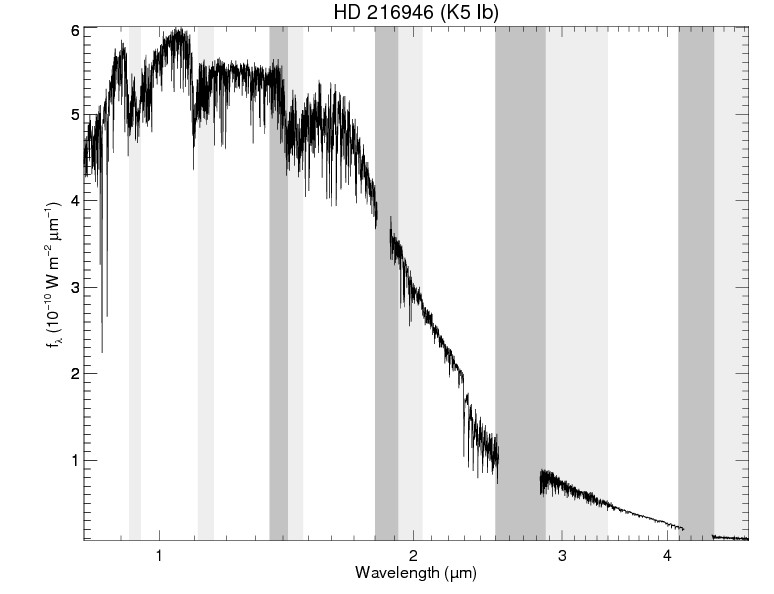 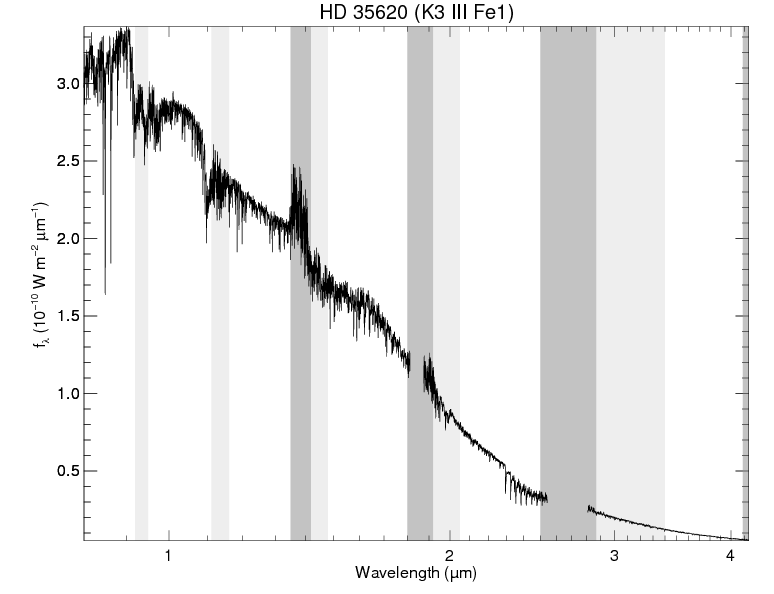 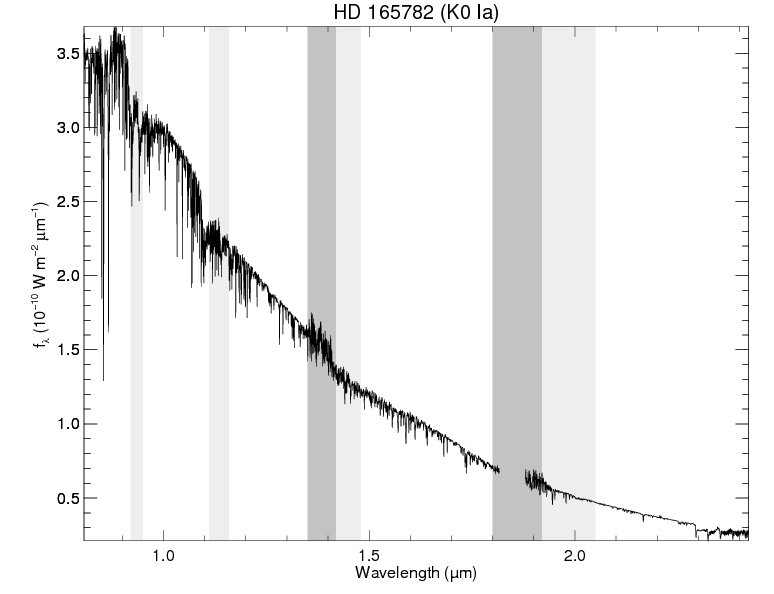 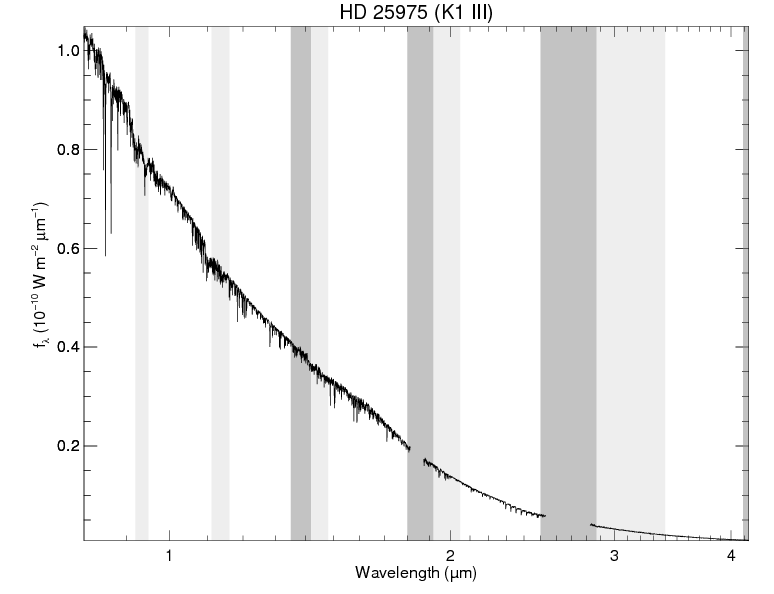 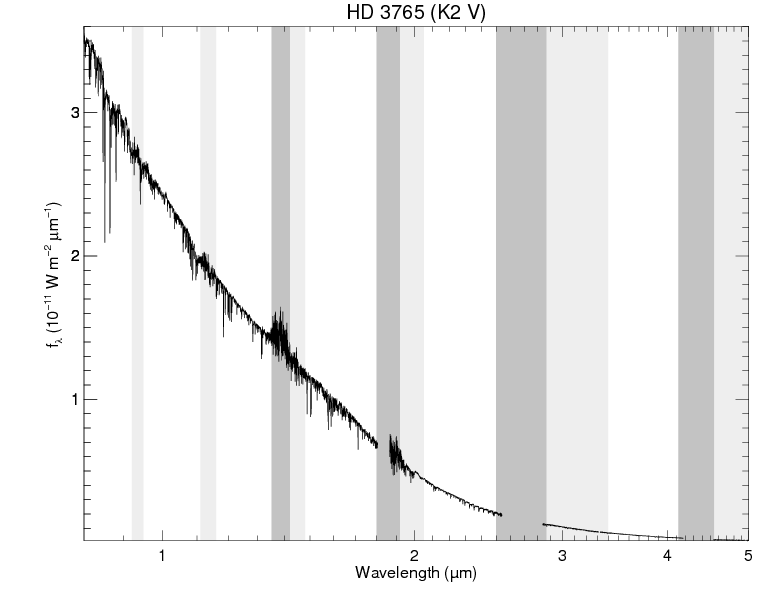 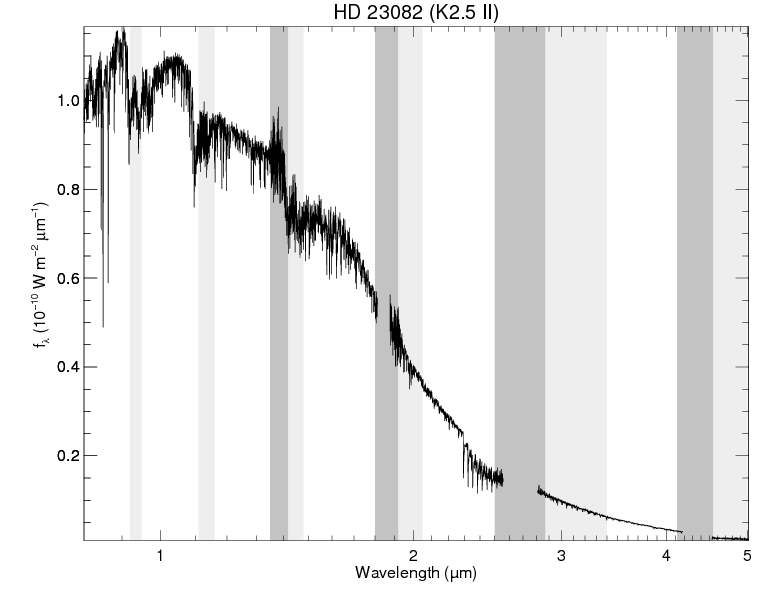 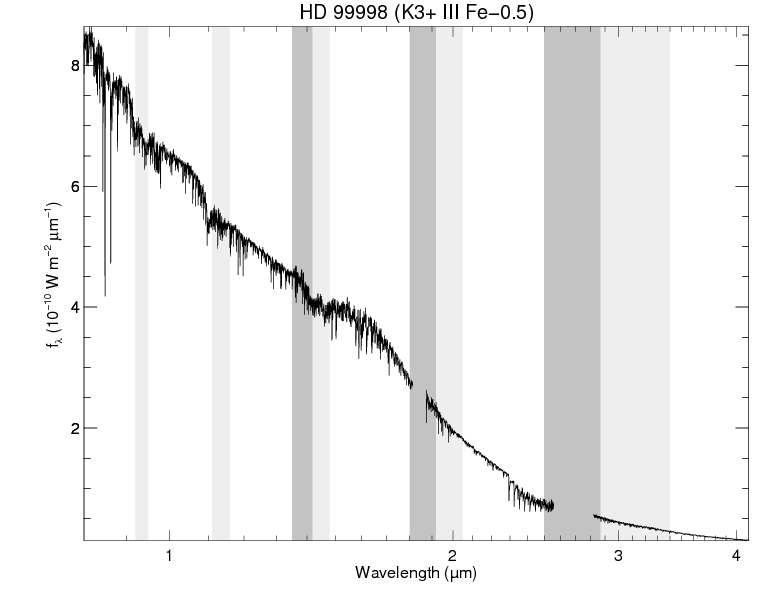 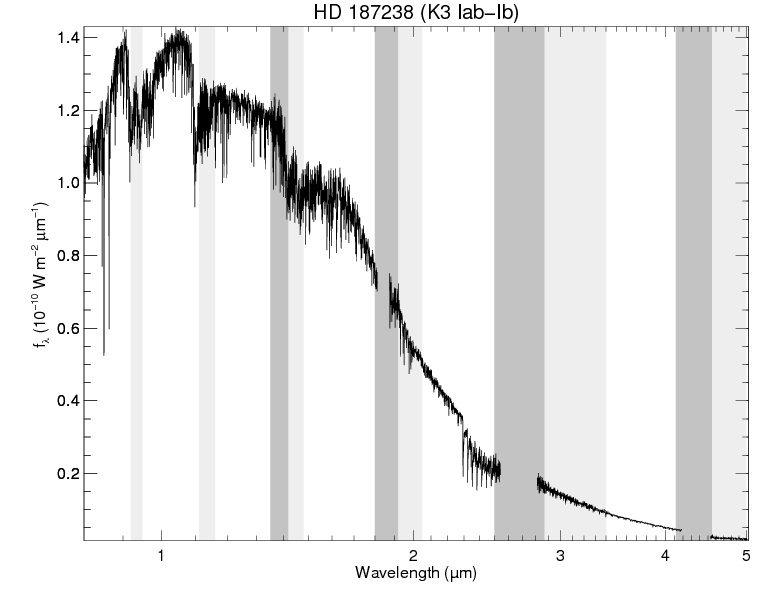 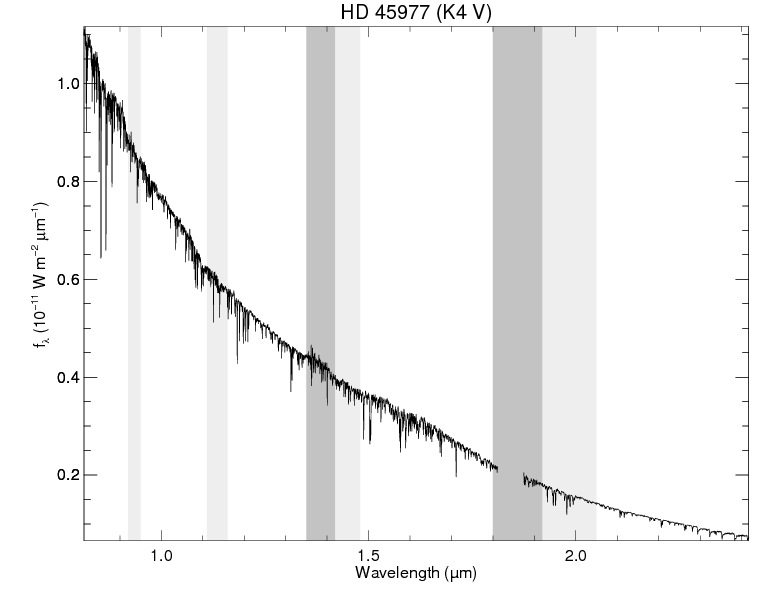 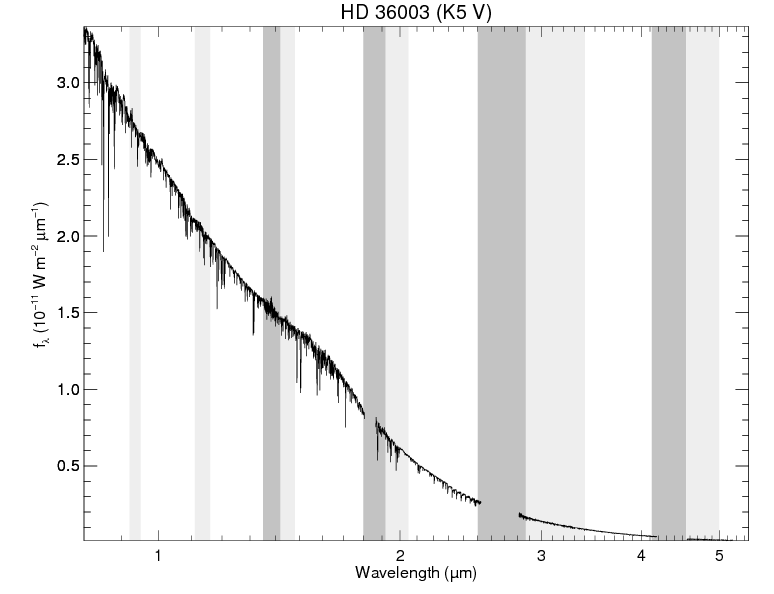 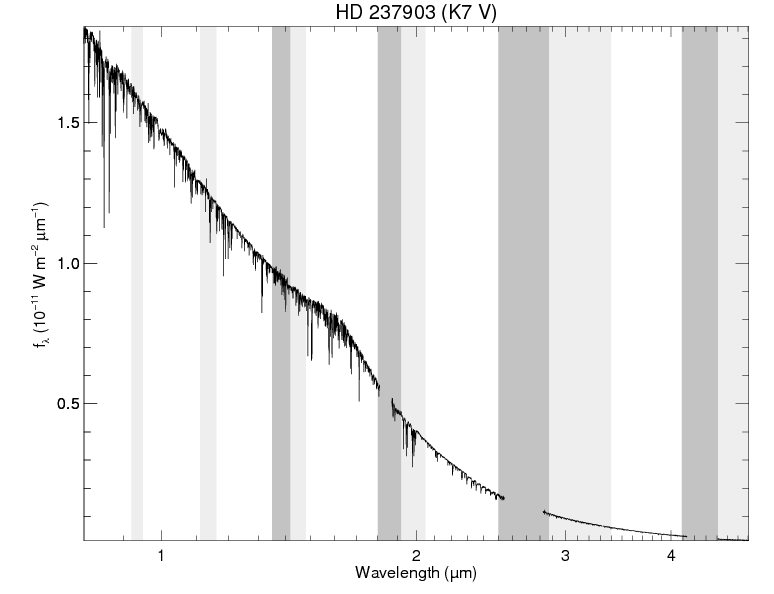 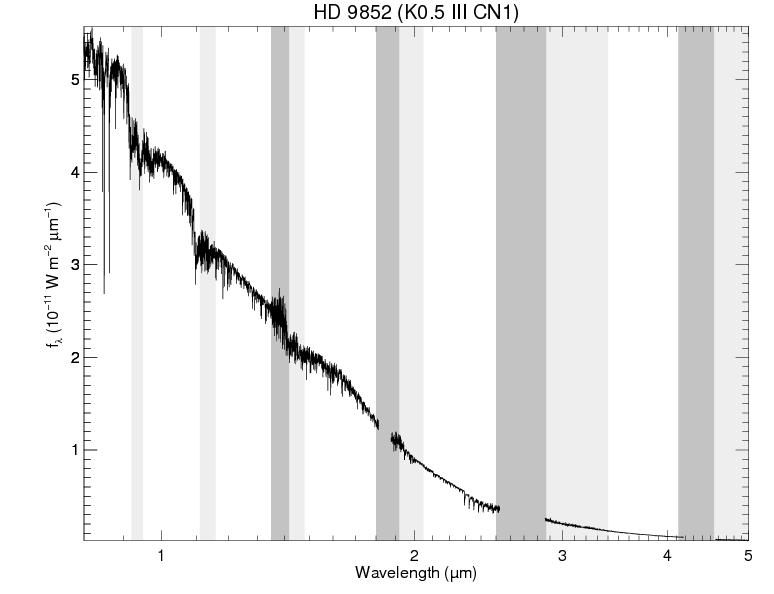 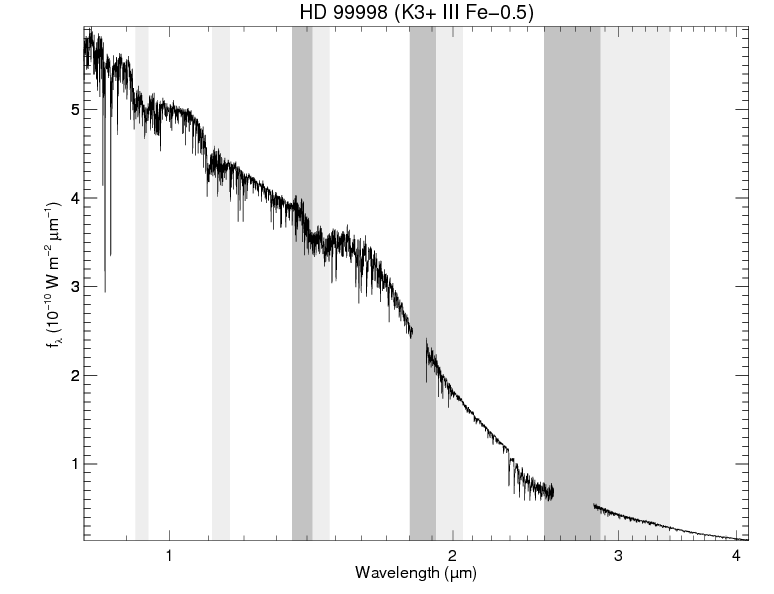 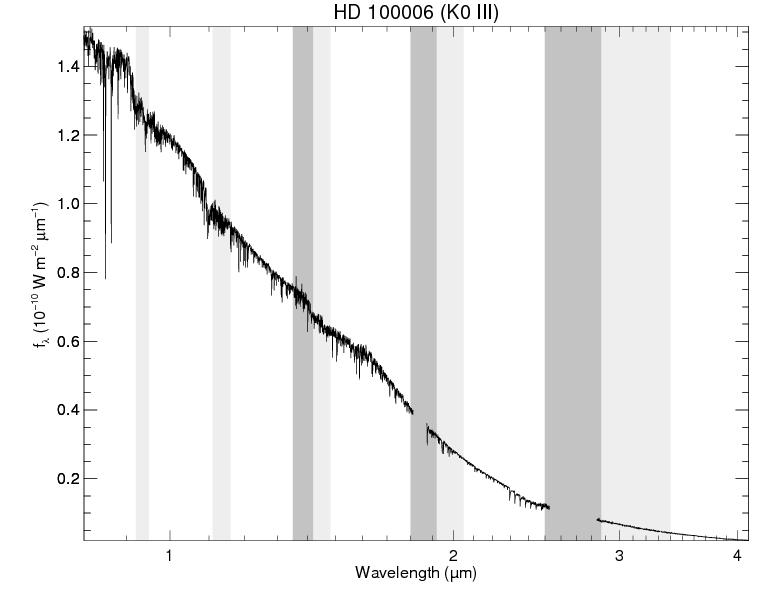 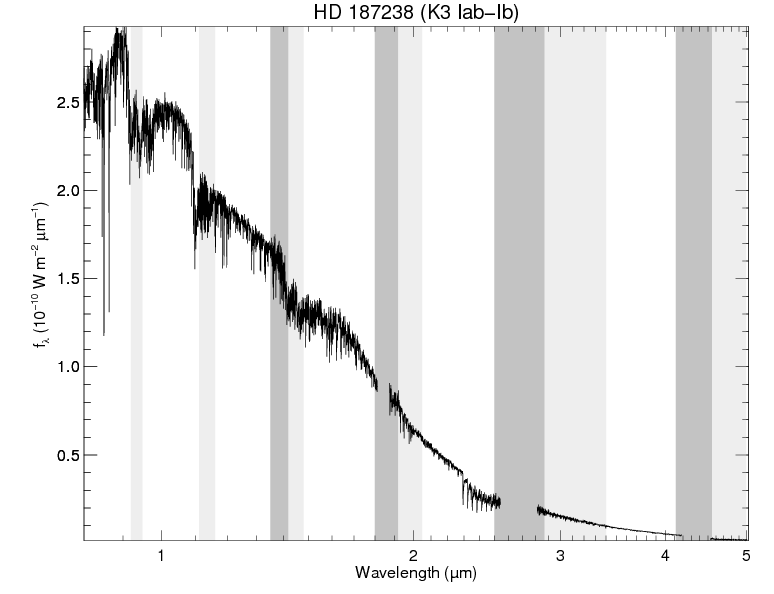 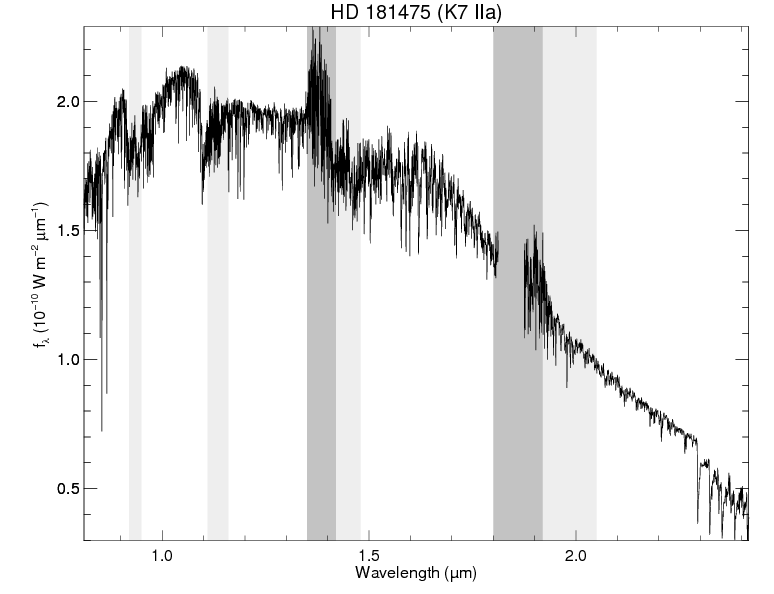 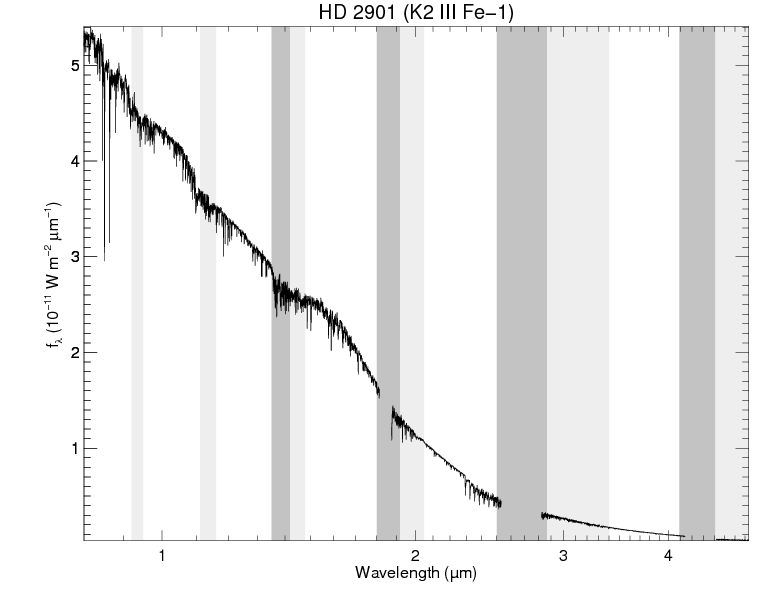 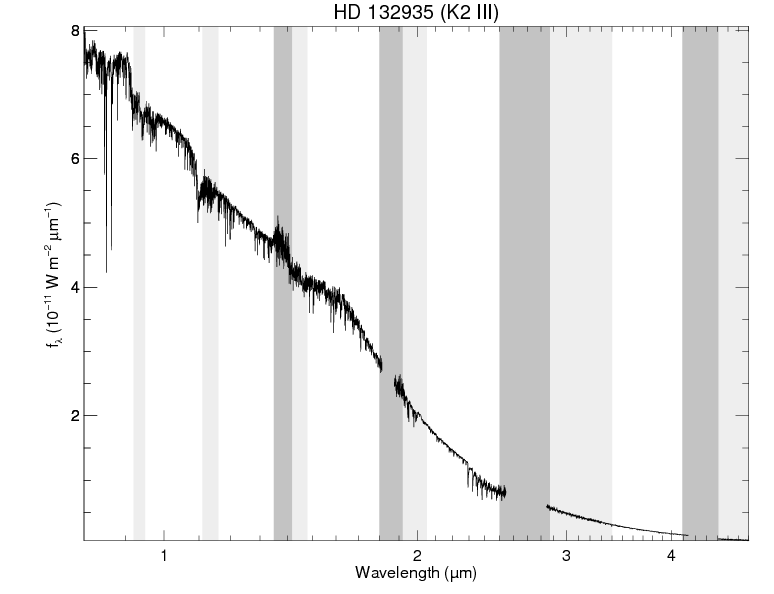 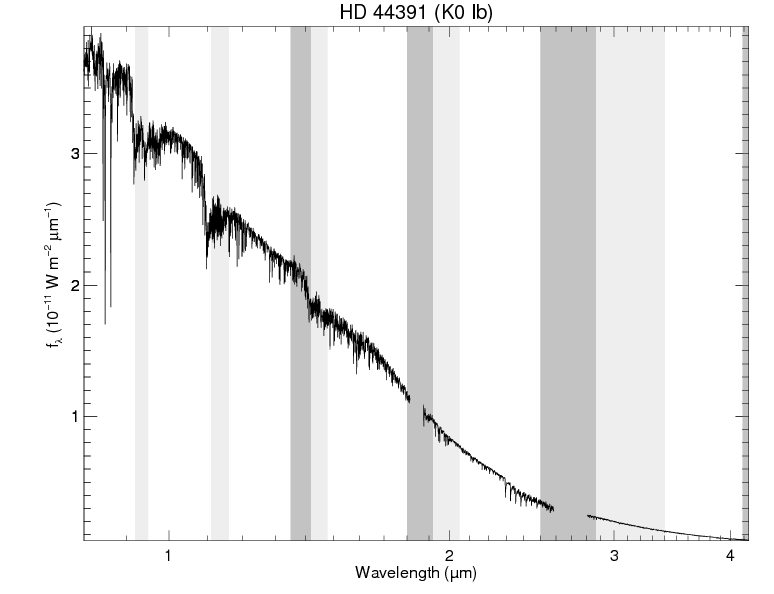 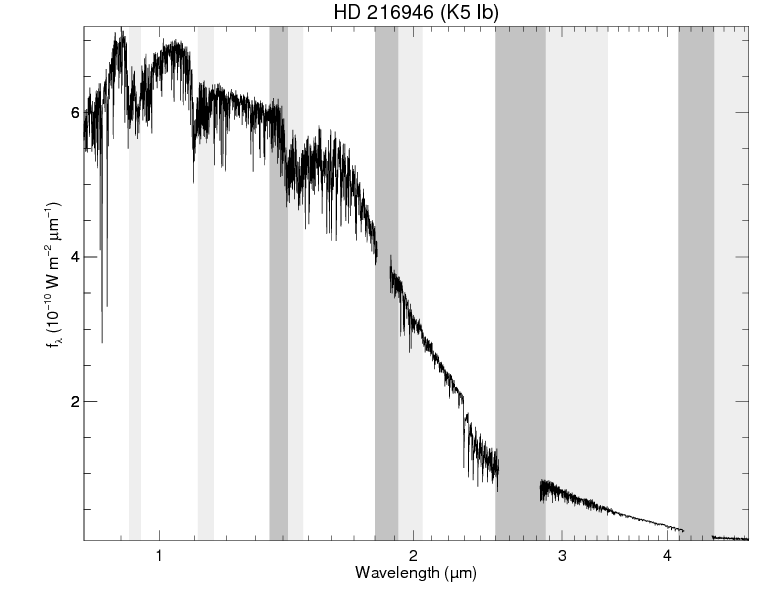 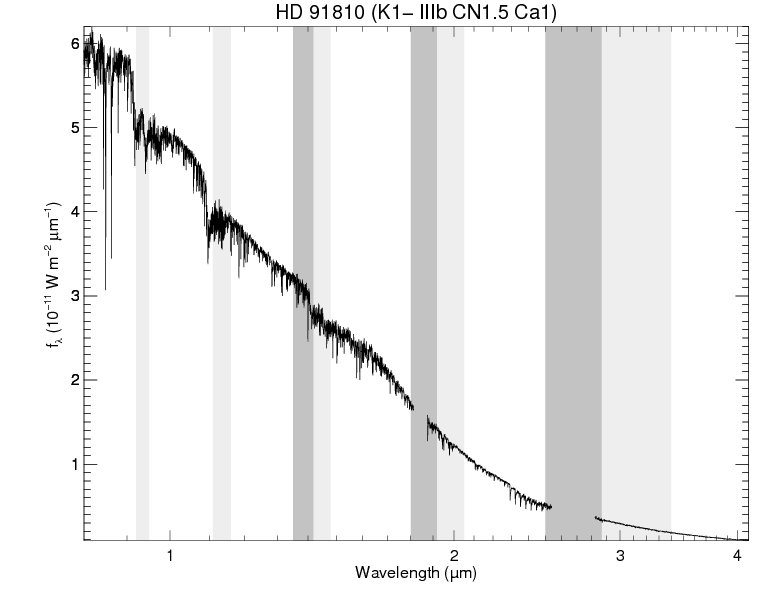 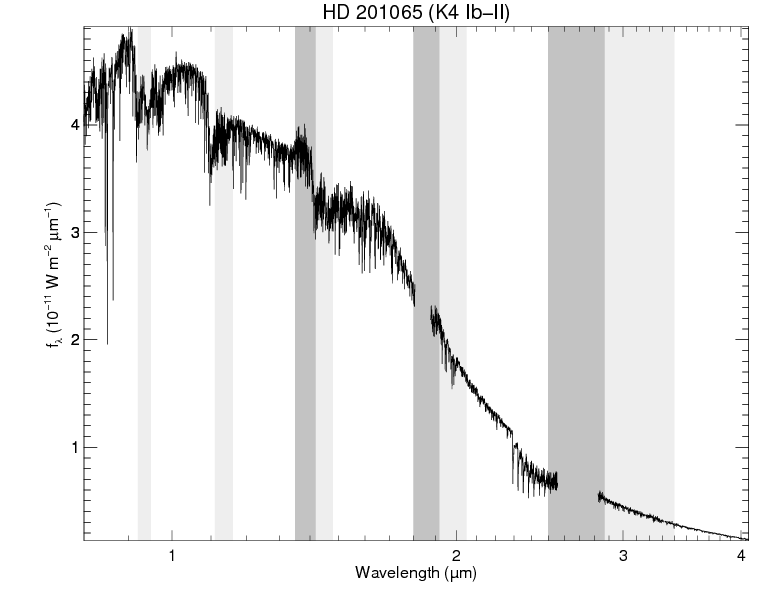 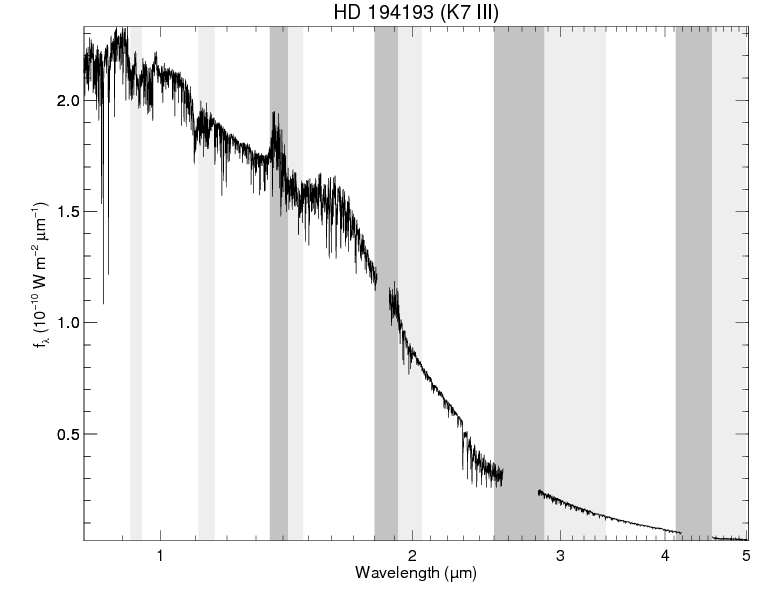 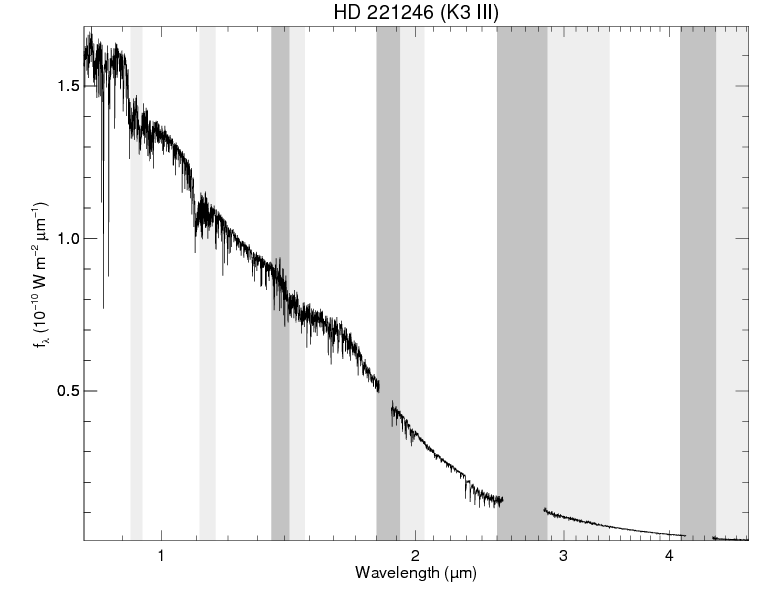 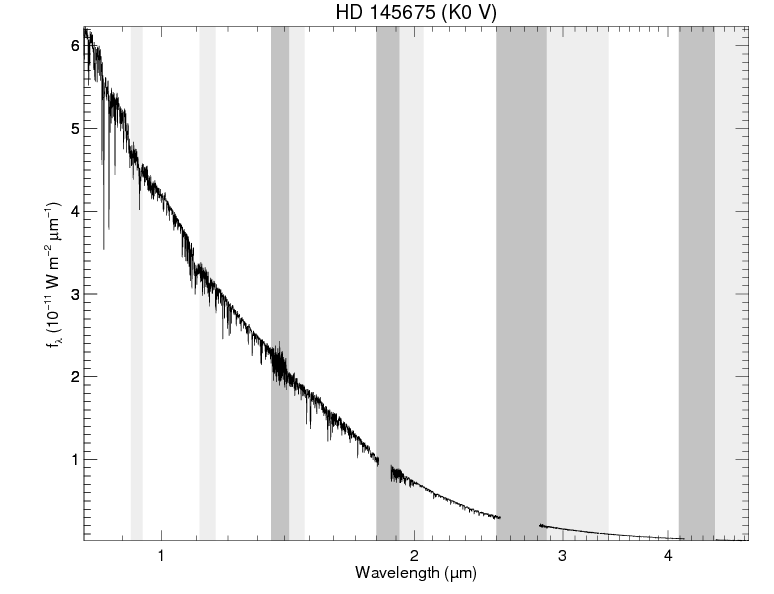 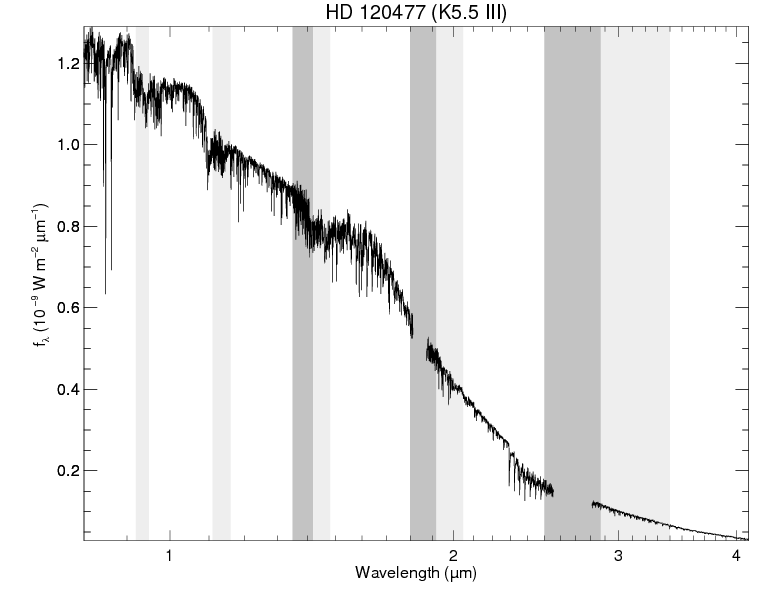 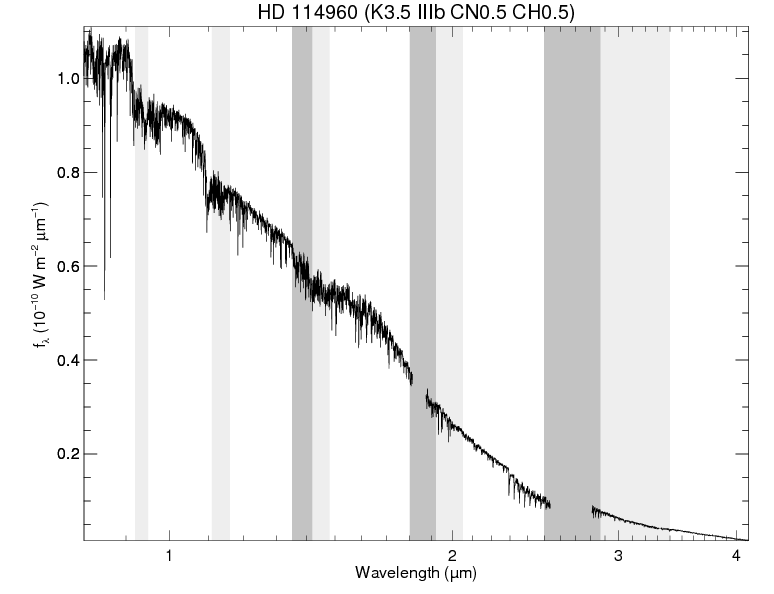 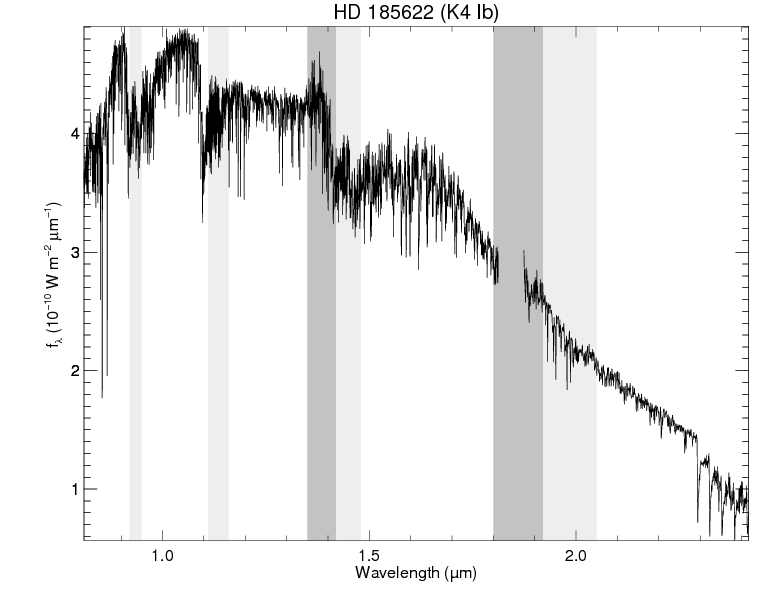 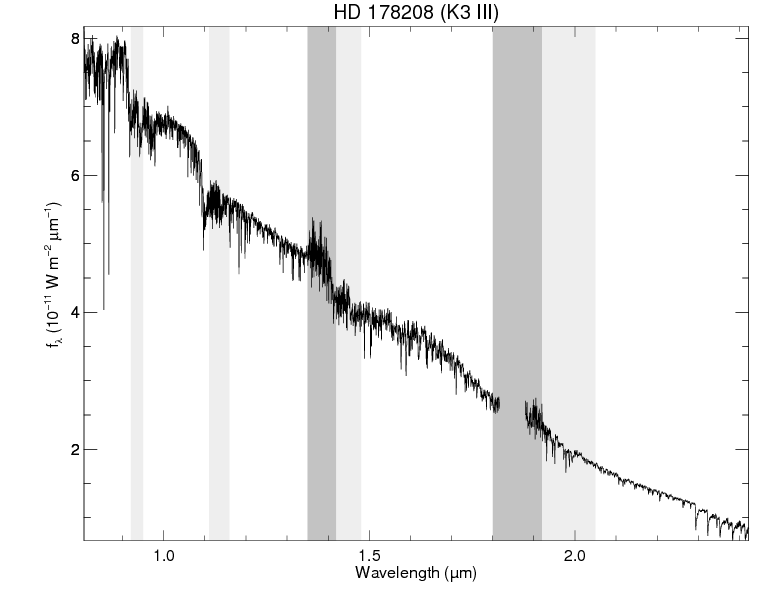 Consequently two Arcturus spectra are presented, one with high S/N for absorption line studies, and another with a lower S/N but with accurate measurement of the spectral continuum.